Turns out monks are great at training dogs. Excellent primer. The only thing I do not personally agree with is the suggestion for crate training for sleep... this is mostly due to the possibility for the method to be misused or overused and the dog to then end up in confinement for very long periods. I have a similar idea of setup for my dog however... a small area of the house that is just for them with their bed in one part of a small room and their food and water in another. It is a safe space for them to get away from interaction, etc. 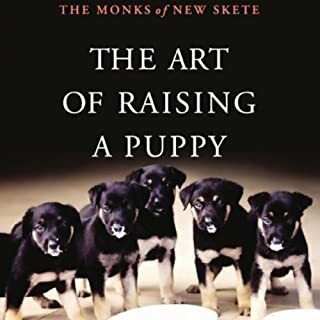 Back to the book... it emphasizes in the beginning the importance of thinking through your reasoning and decision to get a puppy, and then goes into very usable and simple methods to first see to your dogs temperament, then to simple commands, then more complex commands and methods. Overall it is a very sound set of rules that are based on an even keeled reasoning that is supportive for both the dog, and the owner. I didn't buy this book because I thought it was fantasy (actually, I thought it wasn't... though I quite like fantasy). I bought it because it was a book about a thief and the description intrigued me. I read a lot of books this way. Sometimes they turn out to be good, sometimes not. But it is rare that I find a new world I would consider great. I consider The Name of the Wind to be a great new world. Same with the Monster Blood Tattoo series. And now this one. At first I merely was interested, then I was reminded of Oliver Twist. Well done, but not that original I thought. Then I realized that there were a few interesting things about the world everything was taking place in. Then, slowly, I realized I had landed in a very intricately woven world that did not feel the need to push all the facts on me, but very clearly has layers upon layers of logic and history behind it. The characters are well written, and the sub-plots keep you engaged while moving the story forward. It's been a while since my last "discovery." I'm glad I found this one. Don't get me wrong. 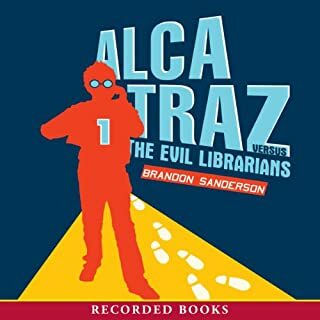 I love Brandon Sanderson's work as a whole -- in fact, this is probably the only book of his I am really struggling to like. It just... Annoyed me. Perhaps it would be a better book if I had read it instead of listened to it, or if someone else had narrated it. But the whole thing had a slightly whiny tone to it. Most of the self imposed humor was jarring and, as the author repeatedly notes, annoying. Putting my annoyance aside, the writing isn't absolutely terrible. It is very purposefully the type of book it is. It is possible that if you like Terry Pratchett you would like this story. It tries to be very tongue in cheek, intentionally annoying (once again, a fact stated multiple times by the "author" of the story), and witty in its comparisons to other "unnamed" works. It just wasn't for me. Set in the realm of the Half-Continent, a land of tri-corner hats and flintlock pistols, the Monster Blood Tattoo trilogy presents a world of predatory monsters, chemical potions, and surgically altered people. 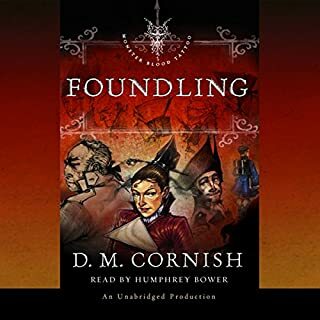 Foundling begins the journey of Rossamund, a boy with a girl's name, who is about to begin a dangerous life in the service of the Emperor. What starts as a simple journey is threatened by encounters with monsters - and people, who may be worse. The Monster Blood Tattoo trilogy/series (In the US: The Foundling's Tale), is a classic adventure in many ways. There is an Orphaned boy. He goes on an adventure. Mysterious things happen. His prior views of the world are brought into question. The character grows... But the texture and detail of the world that it takes place in takes a fairly basic (though enjoyable) tale and turns it into something much more. This story has stood the test of time with me. I do not listen to it constantly, but it is a story that I come back to again and again. The trilogy is over, but I cannot wait for this man to write another book. As for this particular book in the series, it is a gentle start. 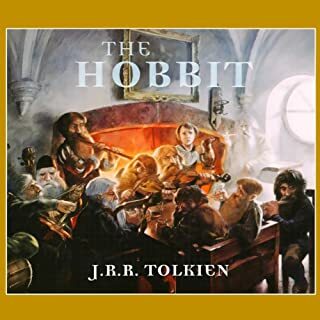 It reads as though it was written with children in mind, but for kids that are able to stomach a bit of fighting here and there and even the occasional scary moment. Nothing too horribly graphic in this story, but if you have a sensitive or very young child I suggest listening to it once first. The reader has a very pleasant voice. Not too deep, not to high and his accent adds an extra sense of mystique to the story. In short, this is a fantastic series that should be on every fantasy and adventure lovers shelf. If you happen to be a child, that's fantastic and I hope your imagination adds even more depth to this already fabulous world, but if you are an adult don't let that scare you away. 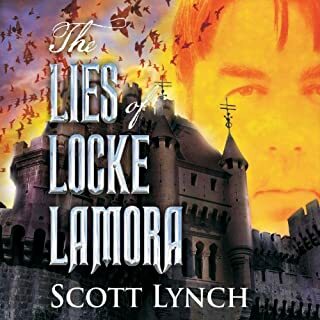 If you like fantastical tales, adventures, and stories where the main character goes on a quest to ultimately find themselves at the end of it, then this is a good story for you. 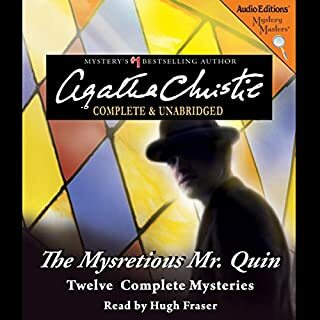 The 12 stories all feature an unusual detective team: Mr. Satterthwaite, a bachelor in his 60s who has spent his life as a spectator not a participant, and the mysterious Mr. Harley Quin, who appears unexpectedly and disappears as suddenly. Mr. Quin provides Mr. Satterthwaite with insight through carefully worded questions and observations that lead Mr Satterthwaite to the answers. Magical Mystery at it's Best! Mr. Quin is like no other Detective you have met...in fact, one could say that he really is not the detective of these stories--but what a wonderful character and mystique he adds to them! Agatha Christie may be famous for Poirot and Ms. Marple, but in my opinion the short stories of Mr. Quin take the cake. In this series of short stories you can expect to meet a mysterious dark man, an older gentleman that loves to watch--and participate--in human drama as it unfolds, and a wide variety of mysteries to slake your thirst. Some of these mysteries are more of the standard affair: A dinner where the diners try to solve the mystery of a suicide, a Murder Mystery, or a disappearance. Other stories however focus on a mystery that is only a mystery as the story unfolds. What the mystery is must be slowly discovered like the fragrances of a delicate chocolate slowly melting on the tongue. Then, at the end, a delightful solution. If you enjoy mystery and that feeling of magic in the air with a touch of detection, this is the series of short stories for you! Just before Meg Murry's little brother, Charles Wallace, falls deathly ill, he sees dragons in the vegetable garden. The dragons turn out to be Porginoskes - cherubim composed of wings and eyes, wind and flame. It is up to Meg and Porginoskes, along with Meg's friend Calvin, to save Charles Wallace's life. To do so, they must travel deep within Charles Wallace and attempt to defeat the Echthroi, those who hate, and restore brilliant harmony and joy to the rhythm of creation, the song of the universe. If you loved A Wrinkle in Time, you will certainly enjoy this revisit to Earth with the classic characters of Meg, Calvin, and Charlie--plus there are a few new favorites to add! Whereas A Wrinkle in Time explored the Universe and the concepts of time and distance--not to mention an all power evil--A Wind in the Door brings Meg and the rest of the gang back together in an exhilarating ride to save Charlie's life. If you have ever wondered if there might be an entire universe within your own body, perhaps a solar system expanding within every cell, than this book is for you! 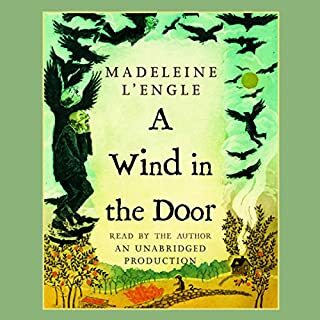 Quirky and spontaneous, logical, and yet completely not, Madeleine L'Engle is one of the must-read children's authors of our time (yes, even for adults!). I have loved these books for as long as I can remember, and now--as an adult revisiting them--I can truly say that she has put together a masterpiece.